"Love is a potent healer. Realizing that, Satan would separate you from the power of the love of God, kindred, and friends, who want to help. He would lead you to feel that the walls are pressing in around you and there is no escape or relief. He wants you to believe you lack the capacity to help yourself and that no one else is really interested. If he succeeds, you will be driven to further despair and heartache. His strategy is to have you think you are not appreciated, loved, or wanted so that you in despair will turn to self-criticism, and in the extreme even to despising yourself and feeling evil when you are not. Remember the wisdom of the Lord 'is greater than the cunning of the devil' (D&C 10:43). If you have such thoughts, break through those helpless feelings by reaching out in love to another in need. That may sound cruel and unfeeling when you long so much for healing, but it is based upon truth. Paul taught, 'Bear ye one another's burdens, and so fulfil the law of Christ' (Gal. 6:2). "Love comes by learning how to give it to another in a spirit of trust. If you feel deprived of love, that is difficult. Yet sustained concern and support of others will engender their interest and love. You will feel needed. You become an instrument through which the Lord can bless another. The Spirit will let you feel the Savior's concern and interest, then the warmth and strength of His love." This is an interesting message from Elder Scott. There are times in life when we need a "potent healer" to help repair wounds or overcome challenges. 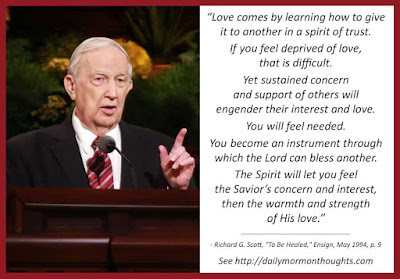 Satan's technique is to increase pain and suffering, to add to the discouragement and take away hope, leaving only heartache, loneliness, and despair. But the "power of the love of God, kindred, and friends" can overcome that force. We must not let Satan's discouragement drag us down. 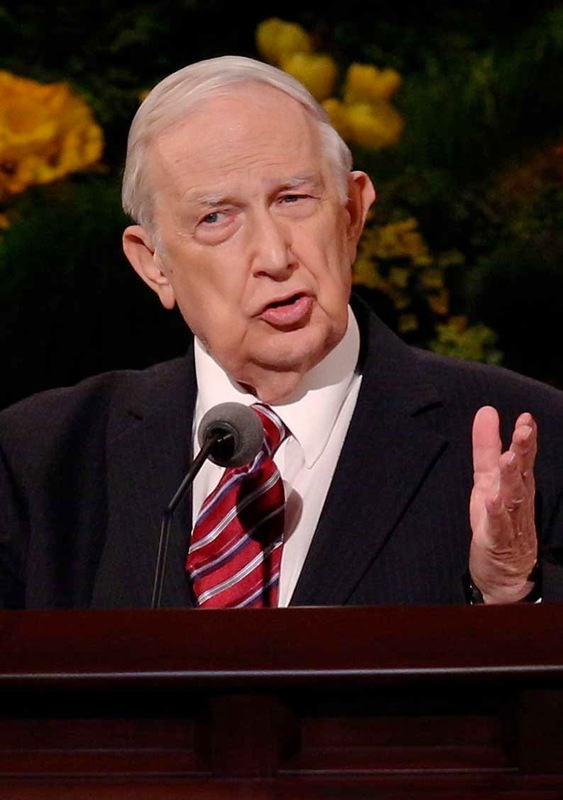 Elder Scott suggests that when we start to feel that way, one of the great keys to overcoming is "reaching out to another in need." As we lift the burdens of others in a spirit of true love, we will feel the Savior's love expressed in our own life in wonderful ways.